Posted below are some of my recent favorites available on Etsy. It was hard to decide on which to feature since I have so many! 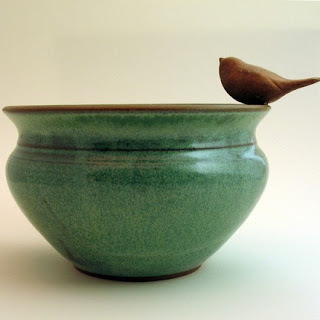 I think the Bird Vase by JMRPottery would need to have a shelf all to its own! This beautiful bowl/vase is made out of redstone clay on a potter's wheel by Julie M. Rowe from North Carolina. I love the green glaze and the bird is just too sweet. 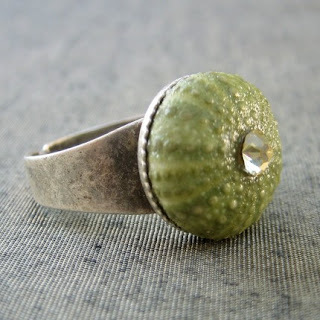 The Sea Urchin Ring by StarOfTheEast is absolutely gorgeous! 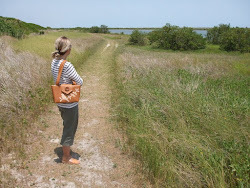 I love things inspired by nature and especially by the sea. StarOfTheEast is a lovely mother and daughter team, Esther and Estella, from Turkey. Their work is so unique and inspirational! I always start my mornings with a cup of tea with lemon and sugar. The first thing I do when I wake up is walk straight to the kitchen and fire up the teapot. 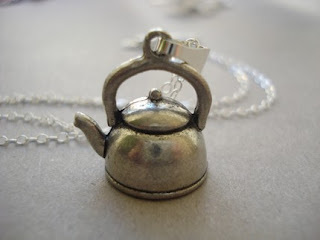 So when I saw this teapot charm by MDSparks on Etsy you can imagine how excited I was. Her shop is filled with unique and whimsical pieces! 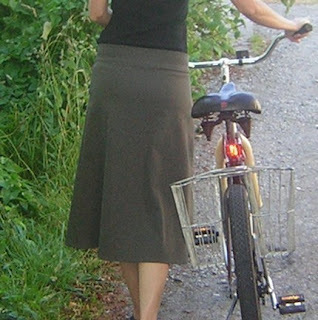 The denim skirt by Trapperjane , a one women show from Victoria, B.C., Canada, is inspiring me to take a bike trip out in the country. I love it's A-line design! All her clothing looks so comfortable and flattering. They are also so beautifully photographed! Thank you for this lovely feature!! 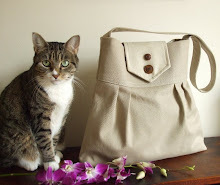 You have so lovely bags on your Etsy store! Great finds and feature! Thanks so much for your lovely comment on my blog!